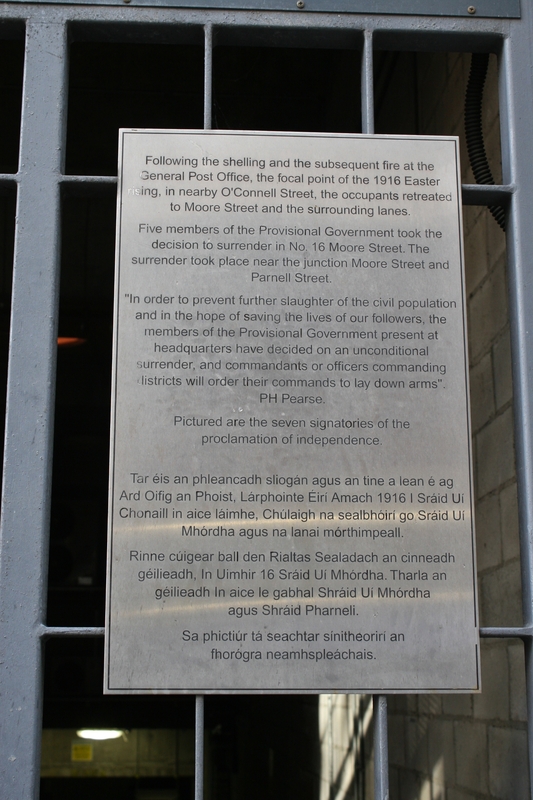 The final acts during the week of the Easter Rising took place here, in the narrow cobbled streets behind the rebel headquarters at the GPO. 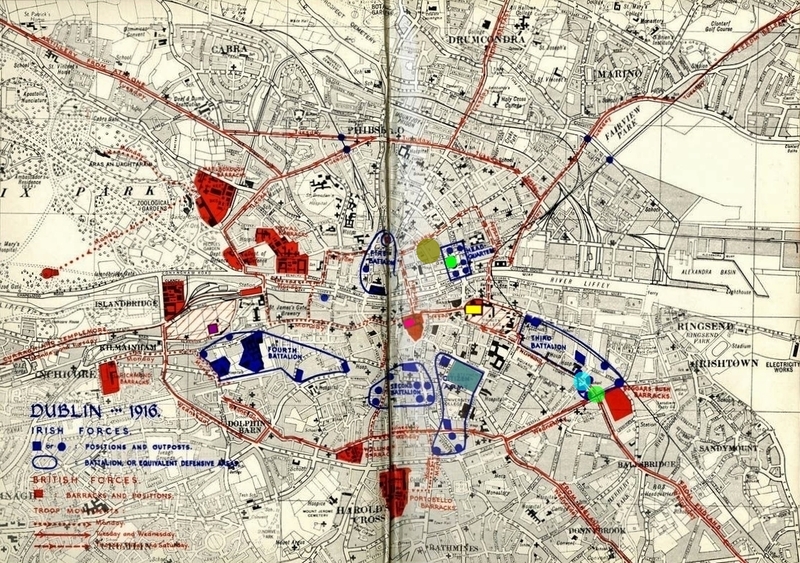 Our last look at Colonel Hally’s map now includes the area of Moore Street and the nearby alleys, the olive circle next to the GPO. 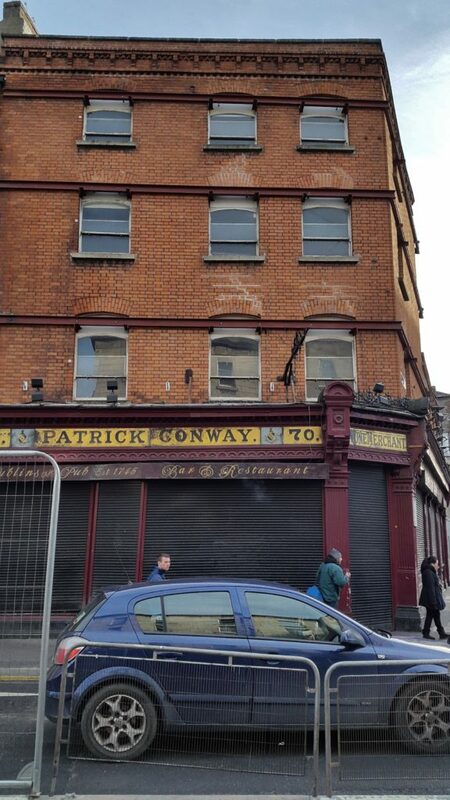 After the initial action on Monday 24th April, little occurred outside the GPO over the next few days, apart from the occasional curious sightseer, and the inevitable looters who roamed the vicinity (after the Rising, more than 400 people were arrested for looting during the week). 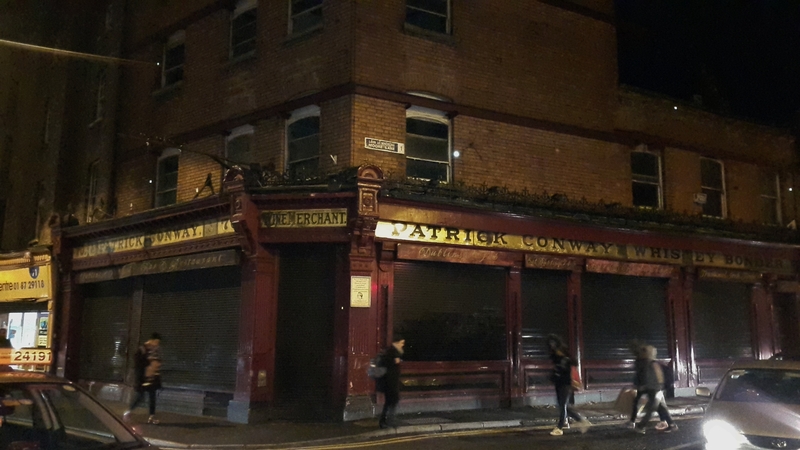 As the week wore on, however, Sackville Street and the GPO came under more serious British bombardment, fire breaking out in the buildings around, as well as some across the street, as described in Part One of this tour. 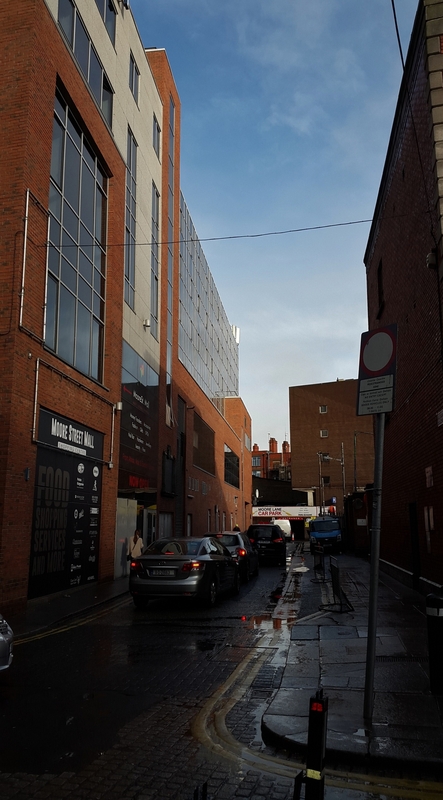 By Friday 28th, despite their efforts to dampen the fires, it was clear to the GPO garrison that they would have to prepare to evacuate the building. 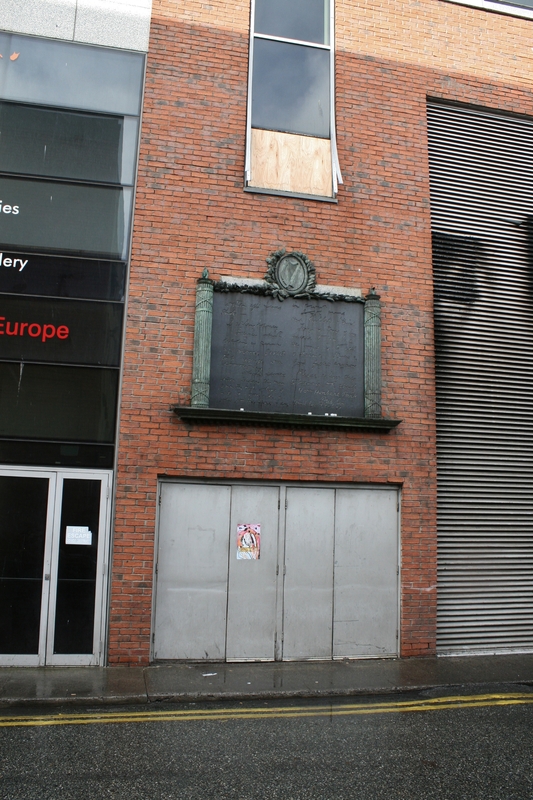 James Connolly had been hit in the leg by a ricocheting bullet, handing over command to Pádraig Pearse, and it was he who subsequently ordered the evacuation. The remaining members of the GPO garrison held on until Saturday morning, by which time they had no choice but to tunnel their way through the walls of the buildings neighbouring the GPO to evade the British machine guns, as they made their way to a new position at Number 16 Moore Street. 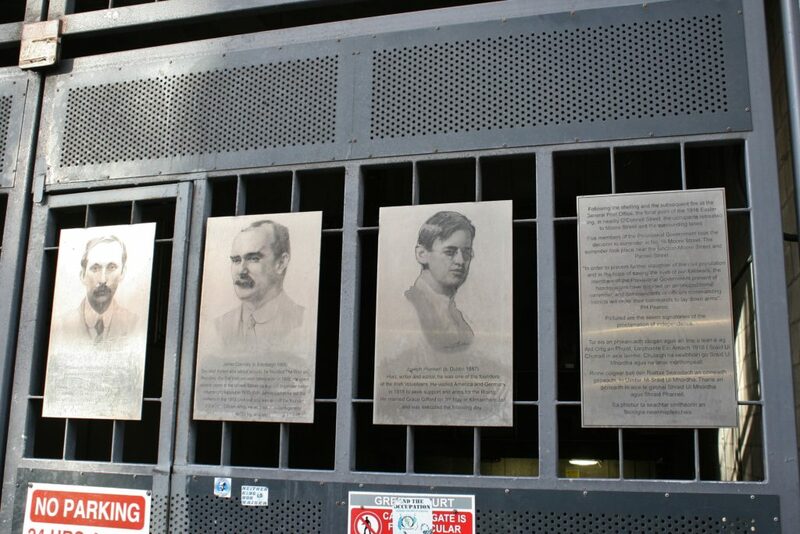 In a back room on the first floor, five of the signatories of the Proclamation of Independence, Pádraig Pearse and his brother Willie, Tom Clarke, Joseph Plunkett and Seán MacDermott, gathered at the wounded James Connolly’s bedside to determine their course of action. Suggestions of a break out towards the Four Courts were rejected because of the potential loss of civilian lives in a highly populated area, and it is believed that this may have greatly influenced Pearse’s next decision. 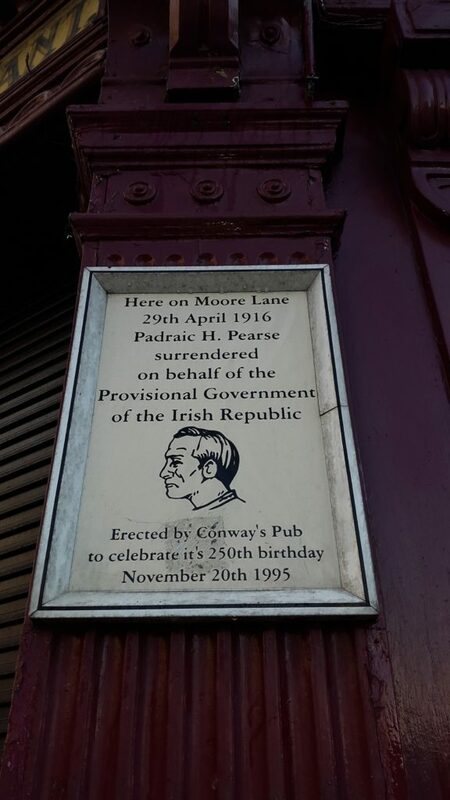 On Saturday 29th April, from this new headquarters, realising they had no other realistic options, he issued an order for all rebel companies to surrender, Pearse himself surrendered the GPO garrison unconditionally to Brigadier General Lowe. Across the city, other rebel positions surrendered as news of Pearse’s surrender order reached them, although sporadic fighting continued in some areas into Sunday. 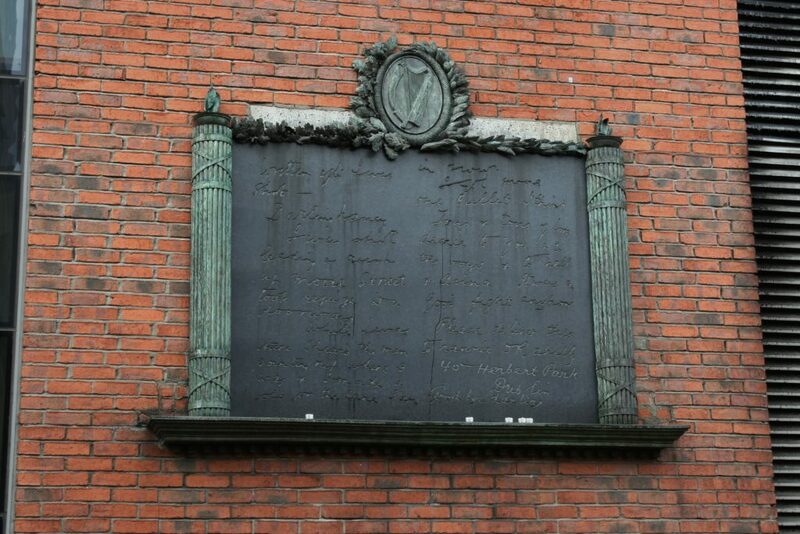 On Saturday night, the defeated Volunteers from the GPO were marched to the Rotunda Hospital in Sackville Street, where, in the early hours of Sunday morning, Captain Percival Lea Wilson took charge. Wilson, a Londoner, had joined the Royal Irish Constabulary in 1909, stationed in Galway, before enlisting in the Royal Irish Rifles on the outbreak of the Great War. 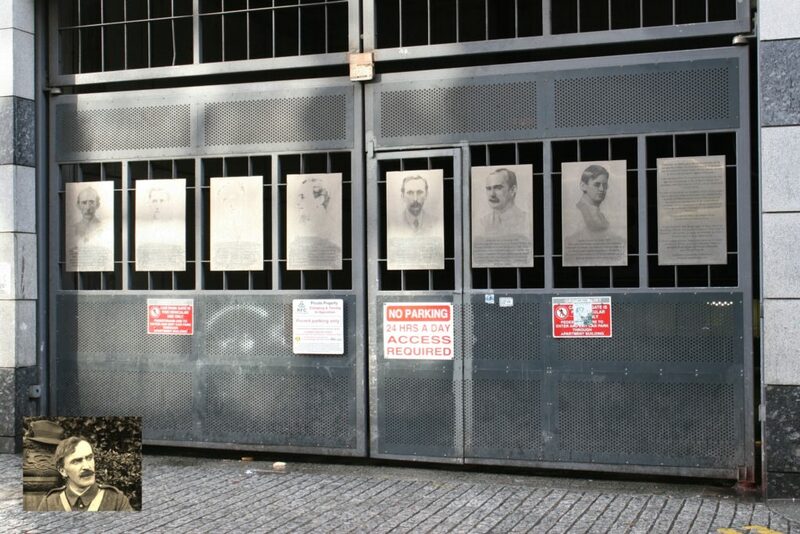 Seriously wounded on the Western Front, he rejoined the R.I.C. 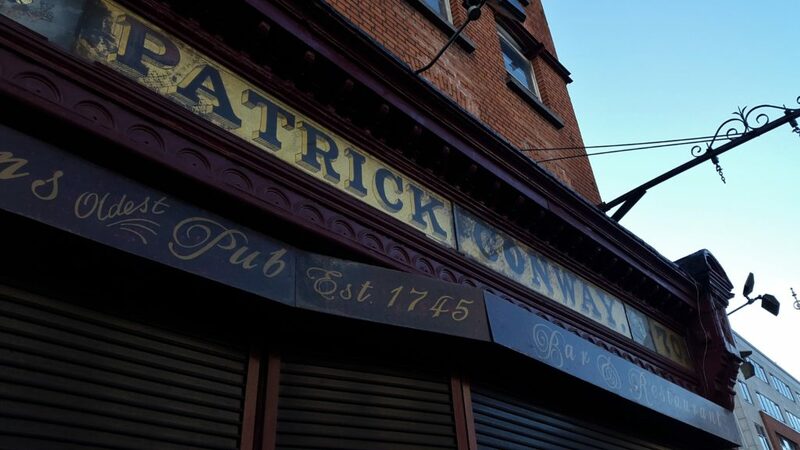 in March 1916, finding himself in Dublin prior to the Rising. 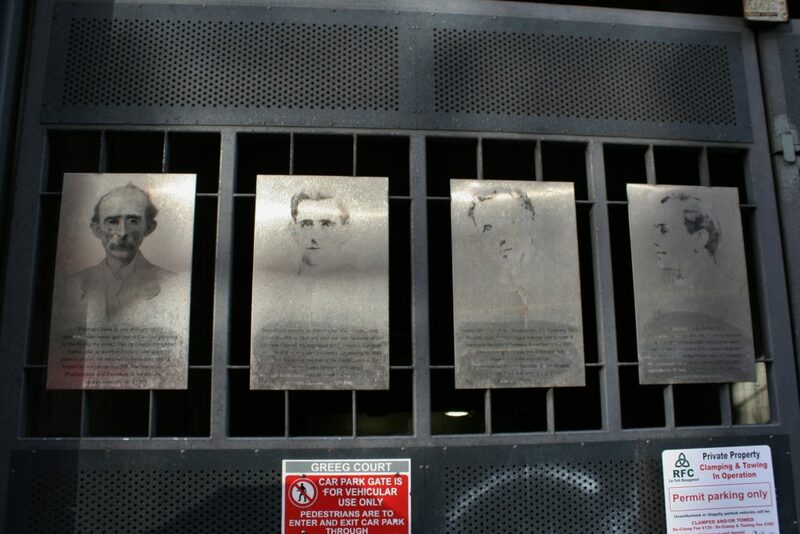 Once the Rising had ended, the Military Courts and the executions soon followed, and next Rising post we shall visit Kilmainham Gaol, where many of the rebels were held, and where their leaders were shot.